Eight champions will be decided Dec. 1-2. RUSHING - D-Y, Rob Evans 7 car., 65 yards; WS, Vaunell Hill 15 car., 66 yards. 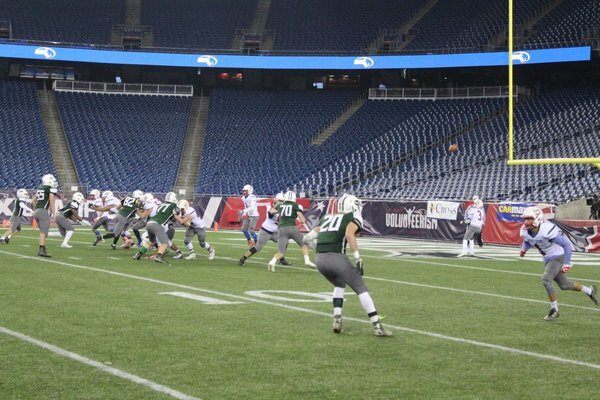 PASSING - D-Y, Jacob McCarthy 6/8, 95 yards, 1TD pass (46 yards to Tierney). It's been a slow fourth quarter with Millis still leading Hoosac Valley 37-0. Millis is driving with 52 seconds left in the game. 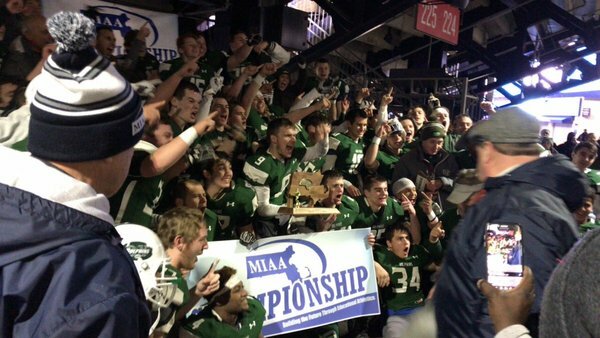 The two D5 finalists, @Dolphinathletic & @wshsterriers , come from opposite ends of the state, but both love putting points on the board with their dynamic offenses. 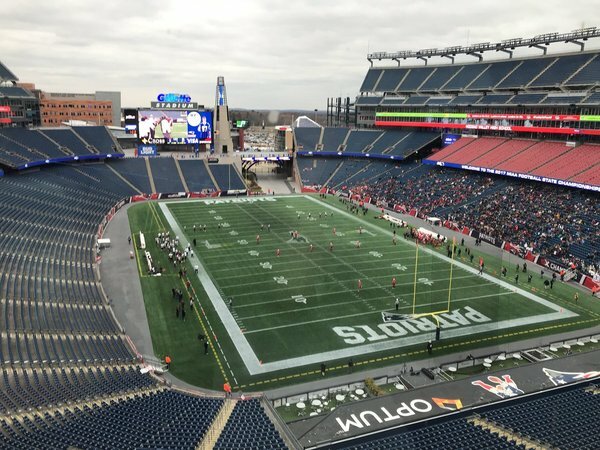 At the end of the third quarter of the Division 8 Super Bowl Millis leads Hoosac Valley 37-0. The Mohawks are one quarter away from repeating as State Champions. And here is the late Millis TD to Brooks. Hoosac Valley still hasn't had an offensive possession this half.